# Li et al, aat7615, Integrative Functional Genomic Analysis of Human Brain Development and Neuropsychiatric Risk. 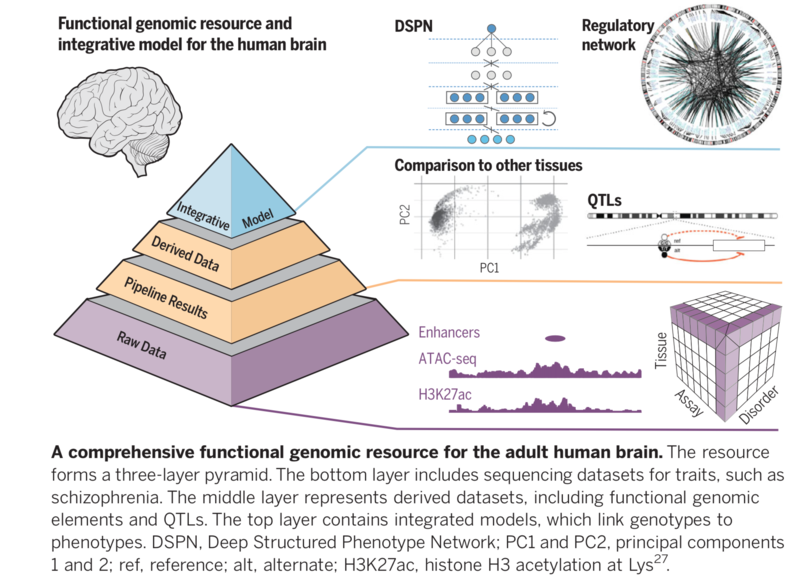 # Wang et al, aat8464, Comprehensive functional genomic resource and integrative model for the human brain. # Zhu et al, aat8077, Spatiotemporal transcriptomic divergence across human and macaque brain development. # Amiri et al, aat6720, Transcriptome and epigenome landscape of human cortical development modeled in brain organoids. # Rajarajan et al, aat4311, Neuron-specific Signatures in the Chromosomal Connectome Associated with Schizophrenia Risk. # An et al, aat6576, Genome-wide de novo risk score implicates promoter variation in autism spectrum disorder.